Beer and liquor. These are the products that typically generate the largest volume of sales in most bars. As a result, many bars focus their efforts on building these facets of their business. However, it would be a mistake to neglect your wine sales entirely. When done properly, a wines by the glass program can be a profitable revenue stream for your bar. As much as it may seem blasphemous to say this, there are some people out there who simply don’t like beer (the horror!). If you want these people to patronize your bar, you’ll need to offer them some other options that they like. While many of these people will choose a tasty liquor drink from your menu, the fact remains that some people just prefer wine. Ignoring this faction of the population will just drive them into the arms of your competitors. It’s perfectly reasonable to decide that your wine sales don’t warrant a significant expenditure of energy, but you can easily develop a successful and profitable wines by the glass program without devoting a tremendous amount of resources to it. 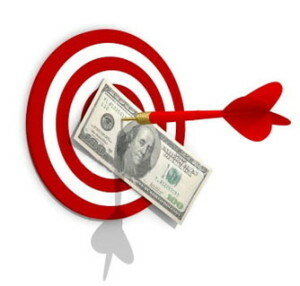 Follow the 8 steps listed below to generate meaningful revenue from your wine sales. The best indication of how much wine you’ll sell next month is how much wine you sold this month. By assessing your current volume of wine sales, you can use this information to make smart decisions regarding the number and selection of wines you offer. In addition, as you redesign your wine program over time, you’ll be able to more effectively see the impact of your efforts if you have a stronger grasp on your current wine sales volume. Total number of glasses sold per week – Keep in mind that we’re concerned with glasses of wine, not bottles. This is a wines by the glass program. Knowing how many glasses you sell each week can help you make smarter decisions regarding your selection. Current distribution (reds vs. white, most popular varietals) – The wine sales at most bars follow the 80/20 rule: 80% of wine sales come from 20% of your selection. You’ll need to determine whether it’s worth carrying the other 80% of the wines on your menu.For example, if you only sell 2 glasses of Riesling a week, you can’t keep the wine fresh without wasting several glasses in a bottle. It’s probably a good idea to discontinue this option. On the other hand, if you sell 70 glasses of your house cabernet every week, you may want to consider adding a second cabernet option at a slightly higher price point. Since you have such a high volume of cabernet sales, you can potentially upsell some of these customers to the higher priced option, increasing your profit margin on these glasses. 2. Determine the length of your wine season – For most bars, rotating your wine list every 6 months is sufficient, but if you’re a high end bar, you may want to consider rotating your wine list every 3 months. Regardless of the length of your season, you should avoid changing out wines in the middle of your season unless it’s truly necessary. 3. Price points – You’ll need to decide how many wines you’ll carry in each price point. In most instances, carrying 1-2 low priced options and 1-2 mid-priced options each for red and white wine will be ideal. You only want to offer high price point options if your wine sales justify having these options on your menu. Once you reach this point in the process, you should be able to make a reasonable estimate as to how much of each wine you’re going to sell. It’s important to know your expected sales volume for each wine so that you can negotiate better deals on cases with your wine distributors. Be realistic in these estimates. Otherwise, you’ll end up with more wine than you need. Once you’ve completed this planning, you need to do some research into the wines that you’re going to offer. It’s crucial that you do a thorough job in the first 3 steps of this process so that you can create a very specific plan to present to your wine distributors. That way, you’ll dictate the conversation and won’t fall into the trap of letting your distributors try and sell you on extra varieties that you don’t need. Speak to your wine distributors on the phone first to explain your plan for the wines by the glass program you’re creating. Ask them to come to your bar and bring some wines for you to evaluate. Be very specific with your wine distributors regarding the types and price points of the wines you want them to show you. This will help them to pitch you the right wines for your program. Taste every option they present – This is crucial to choosing the right wines for your program, and it will allow you to get the best value out of the wines you purchase. For example, if a $6 bottle tastes as good as an $8 bottle, there’s no need to buy the more expensive bottle. The only way you can make these decisions is by tasting each wine.If you’re not a wine drinker, get someone who knows more about wine to taste each option. This could be a staff member, a spouse, or a friend. But it’s important that the person doing the tasting has a palate for different wines. Ask about volume/scope discounts – You need to ask your distributors about volume and scope discounts in order to get the best possible deals. Sometimes, it may be in your best interest to adjust the number of wines you offer in order to maximize these discounts.Volume discounts – How many cases of a type of wine do you need to buy to get the best price? Lock in the best possible price based on your sales volume, but don’t over-order to get a cheaper price. It won’t turn out to be a better deal if you’re stuck with lots of extra bottles of wine. Scope discounts – Sometimes, you’ll get a better price on the wines you purchase from a particular distributor if you order at least 4 or more wines from them. Gather pricing information – Keep a note on every wine you taste as well as how much it costs. Eventually, you’ll have to make some final decisions about the wines you carry, and having detailed notes from your tastings will help you make smarter decisions. At this point, you’re ready to determine which selections of wines to carry and which distributors to purchase them from. Whenever you negotiate special deals with a distributor, make sure the terms of these deals are put in writing. Often, you should be able to get these deals without having to purchase every case up-front. If you’re going to get a deal on 20 cases over a 6 month period and you want to purchase them monthly so that you don’t overrun your storeroom, make sure that this arrangement is guaranteed in writing. This will prevent the distributor from trying to increase the price half way through your season. Program the POS system – You need to add buttons into your POS systemfor all of the wines you’re going to carry before you launch the program. Otherwise, you won’t be able to use your bar inventory efforts to track the performance of each wine. 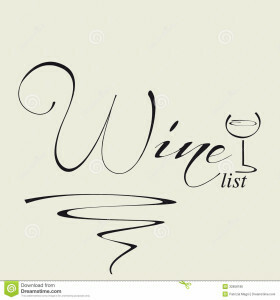 Make a wine list – You need to communicate to your customers that the wine selection has changed. Make sure you have an updated list to provide to customers prior to launch. Educate your staff – You can’t expect your staff to educate themselves on your wine selection. You have to provide them with the proper training. It’s a good idea to create a staff training sheet that lists each wine along with a few highlights per wine. Test your staff on this information a few weeks after launching your program to make sure they can all talk intelligently about every wine you carry. In general, you want to keep your wine program consistent for the entire season. That being said, don’t be afraid to make any adjustments that are necessary as you evaluate the success of your program. However, always let the program run for a while before making any changes. One potential adjustment you may need to make is replacing an out of stock wine. If the cabernet you’re carrying is no longer available from the distributor, simply replace it with something comparable. The other adjustments that should be made involve selections that don’t sell well. However, it’s generally best to wait until the end of your season to replace the poorly selling wine since maintaining a consistent menu is crucial to the success of your wine program. At this point, you’re in a strong position to build a thriving wine program. All the information you gather during your current season will help you when you evaluate options for your next season. If wine reps try to pitch you on new products in the middle of your season, explain that you have a program set in place for the next few months and that they should come back when you’re ready to evaluate wines for your next season. This will help you dictate your buying schedule, and it’ll reduce the number of meetings you need to have with wine distributors. To schedule a free consultation regarding your wine program or to find out how we can streamline your inventory processes and help you maximize profits, please contact Bar-i today. We serve clients nationwide from our offices in Denver, Colorado.